Due to travel, I was unable to post an update in early October, so there is a great deal to report in this Thebaid Update. As always, please forgive me if this post duplicates an update you received through our GoFundMe or Indiegogo platforms. As I reported back in August, thanks to a generous sponsor, I have been able to eliminate housing costs. My sincere thanks also to supporters in Atlanta, Akron and Cincinnati, who have hosted me in their homes at various points, which have saved literally hundreds of dollars in hotel and meal costs. OCTOBER 3-5 — While traveling in September, I was emailing with Mother Nektaria at St Paul Skete in Grand Jct TN, east of Memphis, and we blocked out a few days for me to stay and photograph, resulting in a blessed visit and several exceptional images. OCTOBER 18-20 — Hermitage of the Holy Cross, Wayne WV — This is a return visit to the Hermitage, as my first trip there last year had to be cut short due to a scheduling conflict on my end. I’ve been very eager to make this return trip, and the timing for Fall colors couldn’t be much better. OCTOBER 22-23 — I made a return visit to St Gregory Palamas Monastery in Hayesville, Ohio, where I was able to photograph the progress on construction of their new chapel, designed by noted Orthodox architect Andrew Gould. View the full gallery for St Gregory’s here. As monasteries are scheduled, I add them to my iCal, and they automatically appear on the Thebaid website schedule in the right-hand column. When do Tourists become Pilgrims? Here is a very insightful article/interview on monastery tourists versus true pilgrims. 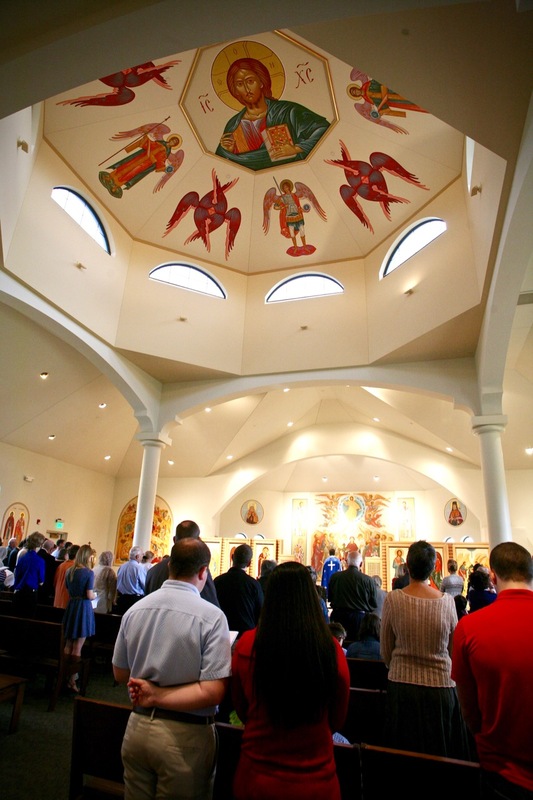 Though coming from a European perspective, the principles for welcoming the curious and showing them the warmth and welcome of Christ’s love are especially applicable to American monasteries. There is nothing bad about cameras, provided somebody wants to take pictures of holy sites so that he and his descendants could hold on to memories of that visit. That is very good, but one should remember one important thing. A pilgrimage is not a mere visit to a geographic location; it is a spiritual exercise which involves physical strain, prayer, meditation, repentance for sins, taking Holy Communion and being with the Lord alone. 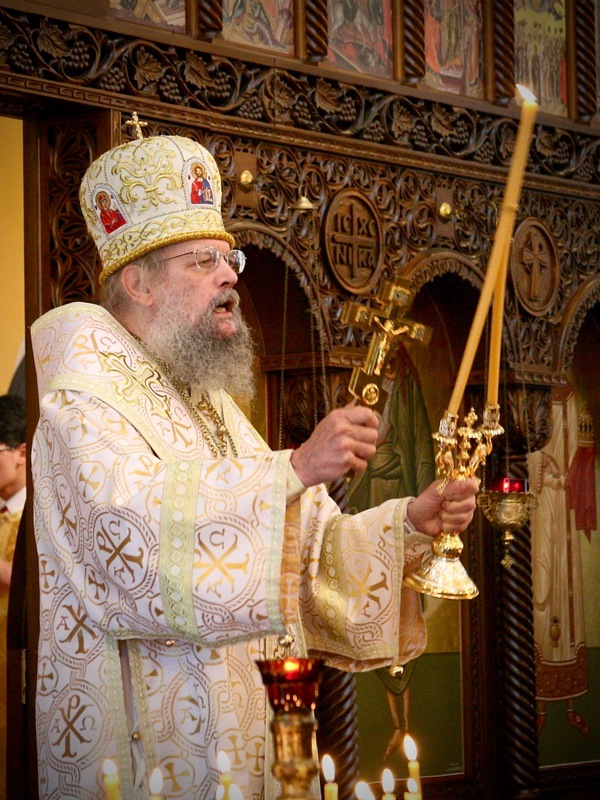 Igumen Daniel (Irbits), Abbot of the Monastery of St. George in Götschendorf (Germany), analyzes the characteristics of Christian pilgrimage, and when it has a good effect and when a harmful effect on the human soul. Abbot Daniel, Burgomaster of Milmersdorf, and Prince Eduard von Anhalt. —Fr. Daniel, is there such a problem as “spiritual tourism”? If it does exist, then how, in your opinion, does it manifest itself? What are its negative effects on both “spiritual tourists” and monasteries? —I will speak on the basis of our local experience in Germany, still a modest experience of our small monastery in Götschendorf. 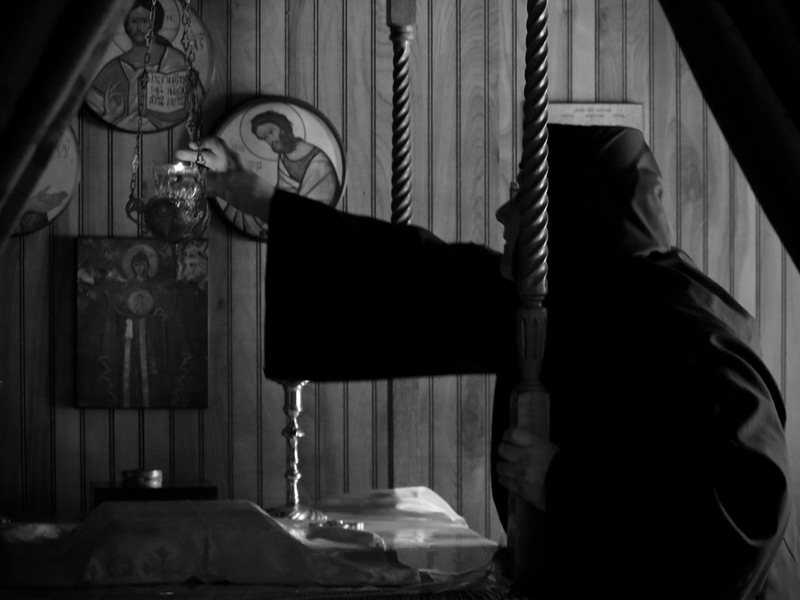 At our St. George’s Monastery we are faced with the phenomenon of “spiritual tourism”, as you call it. Our monastery is often visited by groups of Germans. These are local Evangelicals and Roman Catholics, representatives of federal and regional authorities of Germany, and public figures. Among our visitors was Eduard, Prince von Anhalt, head of the Ducal House of Saxony. I cannot call all these visits “pilgrimages”. But thanks to encounters like these Germans can know the Russian Orthodox Church and our Russian culture better. And that is of great importance for us, for through such meetings we can bring the light of our faith to the German society and elsewhere. 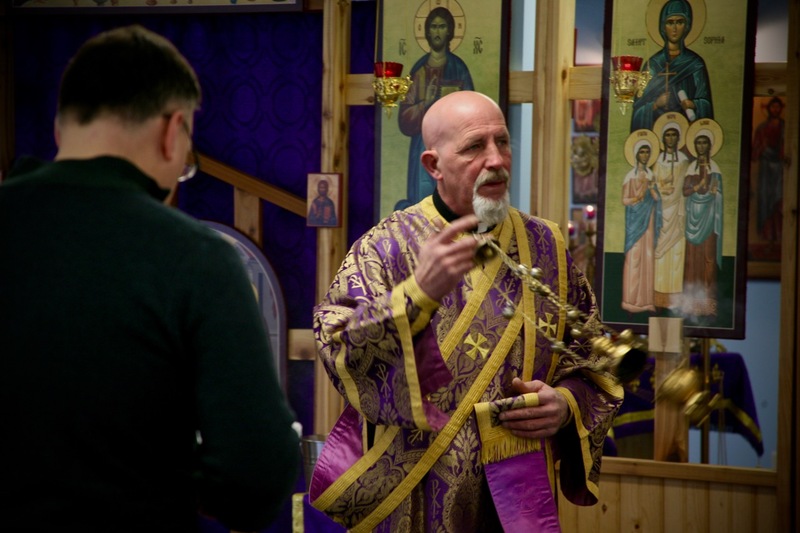 Let me be quite frank: in many cases people after their acquaintance with Orthodox Christianity in the German lands, German have with time embraced the Orthodox faith. For example, last year the first baptism was performed at our monastery—a young German woman was received into the Orthodox Church. 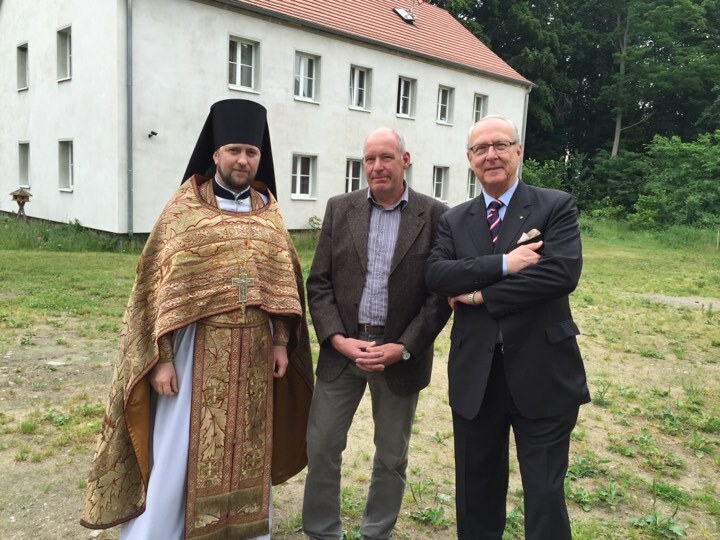 We live in a non-Orthodox country; to be more precise, we live in the state of Brandenburg—in its predominantly Protestant area—and for native residents (Protestants and atheists alike) the very presence of a Russian Orthodox monastery in the region is something extraordinary; and believe me, it evokes great interest. In my opinion, it is very important that we answer to their interest not with pharisaical arrogance but with our benevolence and willingness to help them get to know Christ.